We can help! Call us at (619) 688-0011 to learn more. Ready to begin? Apply Here. 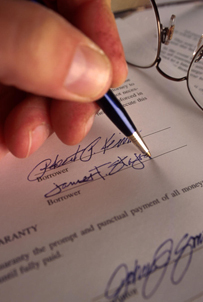 A professional lender will have this at their fingertips. For an up-to-date calendar of weekly economic reports and events that may cause rates to fluctuate. 3) When Ben Bernanke and the Fed “change rates”, what does this mean… and what impact does this have on mortgage interest rates? The answer may surprise you. When the Fed makes a move, they are changing a rate called the “Fed Funds Rate”. This is a very short-term rate that impacts credit cards, credit lines, auto loans and the like. Mortgage rates most often will actually move in the opposite direction as the Fed change, due to the dynamics within the financial markets. For more information and explanation, just give us a call. 4) What is happening in the market today and what do you see in the near future? Be smart… Ask questions… Get answers! Once you are satisfied that you are working with a top-quality professional mortgage advisor, here are the rules and secrets you must know to “shop” effectively. IF IT SEEMS TO GOOD TO BE TRUE, IT PROBABLY IS. But you didn’t really need us to tell you that, did you? Mortgage money and interest rates all come from the same places, and if something sounds really unbelievable, better ask a few more questions and find the hook. Is there a prepayment penalty? If the rate seems incredible, are there extra fees? What is the length of the lock in? If fees are discounted, is it built into a higher interest rate? YOU GET WHAT YOU PAY FOR. If you are looking for the cheapest deal out there, understand that you are placing a hugely important process into the hands of the lowest bidder. Best case, expect very little advice, experience and personal service. Worst case, expect that you may not close at all. All too often, you don’t know until it’s too late that cheapest isn’t BEST. But if you want the cheapest quote – head on out to the Internet, and we wish you good luck. Just remember that if you’ve heard any horror stories from family members, friends or coworkers about missed closing dates, or big surprise changes at the last minute on interest rate or costs…these are often due to working with discount or internet lenders who may have a serious lack of experience. Most importantly, remember that the cheapest rate on the wrong strategy can cost you thousands more in the long run. This is the largest financial transaction most people will make in their lifetime. That being said – we are not the cheapest. Of course our rates and costs are very competitive, but we have also invested in the systems and team we need to ensure the top quality experience that you deserve. MAKE CORRECT COMPARISONS. When looking at estimates, don’t simply look at the bottom line. You absolutely must compare lender fees to lender fees, as these are the only ones that the lender controls. And make sure lender fees are not “hidden” down amongst the title or state fees. A lender is responsible for quoting other fees involved with a mortgage loan, but since they are third party fees – they are often under-quoted up front by a lender to make their bottom line appear lower, since they know that many consumers are not educated to NOT simply look at the bottom line! APR? Easily manipulated as well, and worthless as a tool of comparison. UNDERSTAND THAT INTEREST RATES AND CLOSING COSTS GO HAND IN HAND. This means that you can have any interest rate that you want – but you may pay more in costs if the rate is lower than the norm. On the other hand, you can pay discounted fees, reduced fees, or even no fees at all – but understand that this comes at the expense of a higher interest rate. Either of these balances might be right for you, or perhaps somewhere in between. It all depends on what your financial goals are. A professional lender will be able to offer the best advice and options in terms of the balance between interest rate and closing costs that correctly fits your personal goals. UNDERSTAND THAT INTEREST RATES CAN CHANGE DAILY, EVEN HOURLY. This means that if you are comparing lender rates and fees – this is a moving target on an hourly basis. For example, if you have two lenders that you just can’t decide between and want a quote from each – you must get this quote at the exact same time on the exact same day with the exact same terms or it will not be an accurate comparison. You also must know the length of the lock you are looking for, since longer rate locks typically have slightly higher rates.